So being that I have 2 small children and am usually out cold by 10:30, I enlisted my CC pals to inform me of groovy nighttime spots and I got an abundance of replies. The diversity was exciting and I found myself mildly envious of all the goings on whilst I lay in slumber. But then I remembered how awful I feel the next day after a short night's sleep and quickly got over it. I can partake in all the shenanigans...when I'm fifty something...hello, cougar! The most popular, secret bar was a cute little hole in the wall called Seventy 7 Lounge in downtown located in an alley, (albeit, a very chic alley) behind Bank of America and Timeless Treasures. LA Weekly put it at the top of their 10 best bars in CC. I went there when it first opened. "...there's no sign, it feels very hip. Inside it's got low lighting and good music." Second highest on the highly recommended list was Oldfield's Liquor Room - on Venice. The interior is to die for. You feel like you are in a swank english pub at the turn of the century. Beautiful ecru tiled walls, french bistro chairs, a rounded wooden bar. These guys did an amazing job reinventing this space. Another great hangout with really interesting people and fabulous drinks. Oh yeah, they have specialty drink punch bowls for 8 - 12 people for $75. Something tells me they are better than the lame ones at that 1980's wedding I went to once! They are open every day from 5pm to 2 am. They are located on Venice Blvd. at Kelton just west of Overland Blvd. 310.842.8066. So update: purely in the name of research, I banded a group of gals together and we went out. Oldfield's wonderful - amazing drinks, fabulous and friendly atmosphere, super cool crowd - I really loved this place. 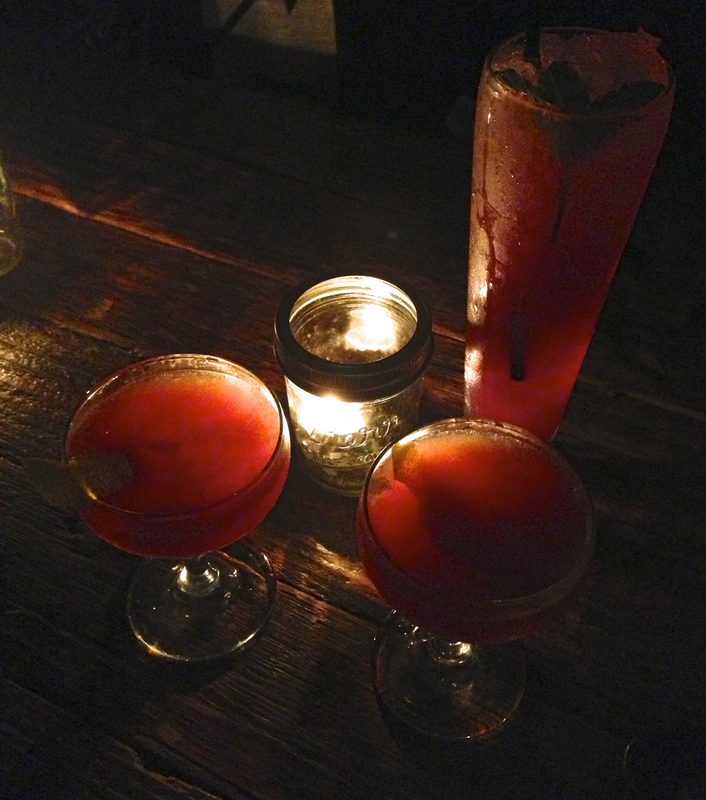 "Handmade cocktails from hipster mixologists, great decor, yummy drinks and eclectic clientele." 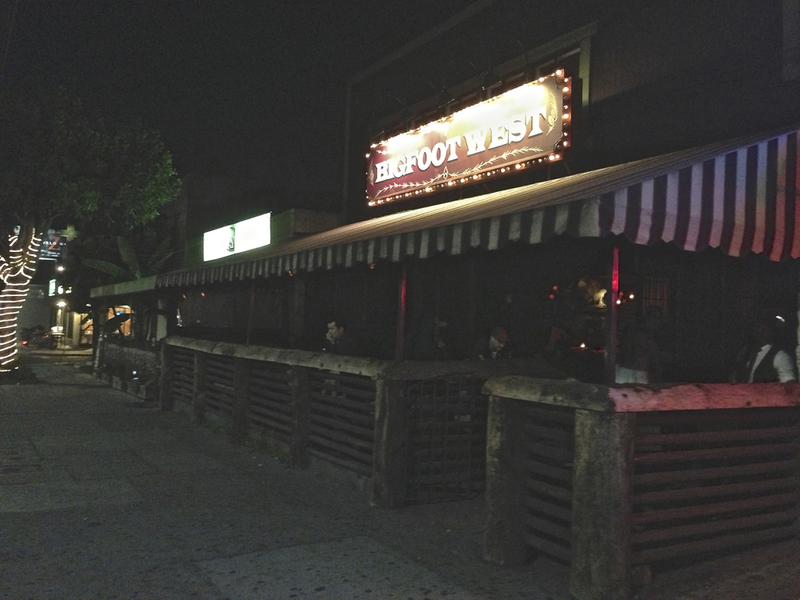 Bigfoot West is a log filled bar - the roof, the bar stools, the bar, the super cool ceiling. This is a groovy place with a very chill yet fascinating vibe. They play beautiful blue grass music and the selection of drinks at the bar are wonderful. Their wiskey selecion is astounding. It attracts a very subduedly hip crowd from Culver City, Mar Vista, Venice and Santa Monica. Located on Venice Blvd @ Prospect and just 5 blocks east of the 405 (just down the street from sister bar, Oldfield's) and are open daily from 5pm to 2 am.
" great for a lounge/bar crowd with yummy affordable food." Right acrosss the street from Sony on Culver Blvd @ Motor is a timeless Culver City classic. The Backstage is seriously old school and has a widely varied clientele. A lot of Sony folk pop over before, during and after work. All Culver City residents seem to make it one of their haunts. It is dark, small, casual and fun. Always busy and always happening. They always have big sports night events and are extremely welcoming. It really is a great place for young, middle and old. The drinks and simple, old school bar food are delish. 310.839.3892 It calls itself "The best dive bar in the world." It's open every day from 11 am to 2 am. You could spend all day. They have a great 4 - 8pm happy hour. "has karaoke - super fun place"
The few times that I go out I always want to go to Dear John's. I have coveted this square windowless building just east of the 405 on Culver at Sepulveda and knew it would be something good. And it is. Round red booths, lovely older waitresses, live band playing groovy classics, delicious drinks and an older Culver City proud clientele. It is a true classic with an overabundance of personality. But the best part, the food is phenomenal. A gorgeous perfectly cooked steak with a brandy bordelaise. Traditiounal and succulent Chicken Marsala...you get the picture. Classic mid century fare done incredibly well. I love this bar. 310.397.0276 Open every day from 11 am to 10 pm and until 11 pm on Friday and Saturday. "Classic old school charm. My wife and I never want to leave." Sitting pretty in the middle of all the downtown action is the gorgeously redone bar/lobby of The Culver Hotel. This place has become so popular not just because of its prime location but the room and atmosphere are wonderful. You will mix with hotel guests, Culver and Sony Studios worker bees, young hipsters, gaggles of moms out on the prowl/town. All sitting on comfy luxe couches and arm chairs. The bar is nestled into the front and the drinks and food are superb. You could sit there for hours and just people watch and then stroll out into the night and see what's going on at all the other local watering holes, a stones throw away. "good for happy hour and great live music." "Super chill spot to drink and hang with friends. Add delicious cocktails and grilled cheese sandwiches to the mix." "The best New Jersey / New York Style pizza in Los Angeles!" "a sports bar that serves late and the open outside is lovely on nice nights." More towards the ocean in a super cool, almost futuristic space is a very popular haunt. 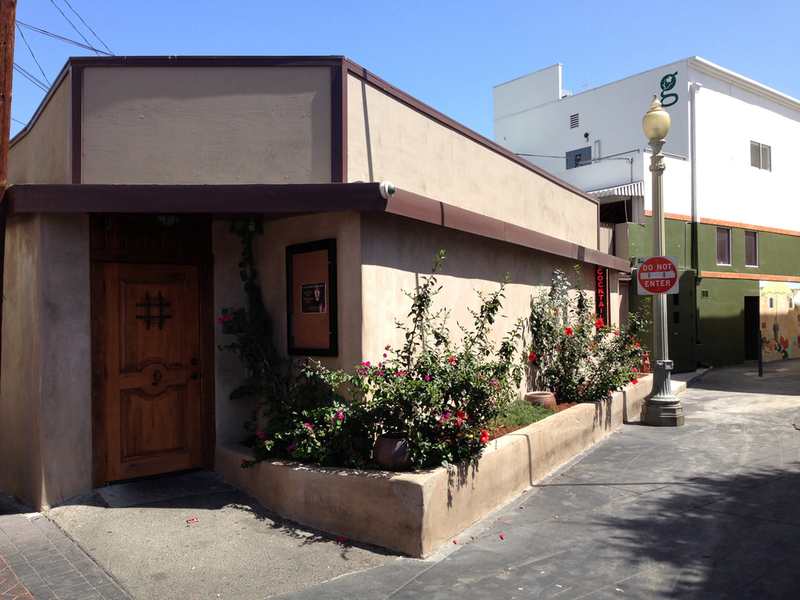 The Alibi Room is at the corner of Washington Blvd and Centinela and is a small, intimate neighborhood bar. Full of really cool locals having warm chats with the bartenders and neighbors. I like this idea in a large sprawling city where we all want the "Cheers" experience. The bar food menu is fun and interesting. And they have a most diverse selection of cocktails and a huge beer list, as well as some wines. This is a fun place to hang between here and the beach. The best part for all you night owls, is that their happy hour starts at 11 pm and goes to 2 am, Saturday - Wednesday. The bar is open 5:30 pm to 2 am and they also have a sweet little outside patio. Fun! Joxer Daly's is a Culver City classic. 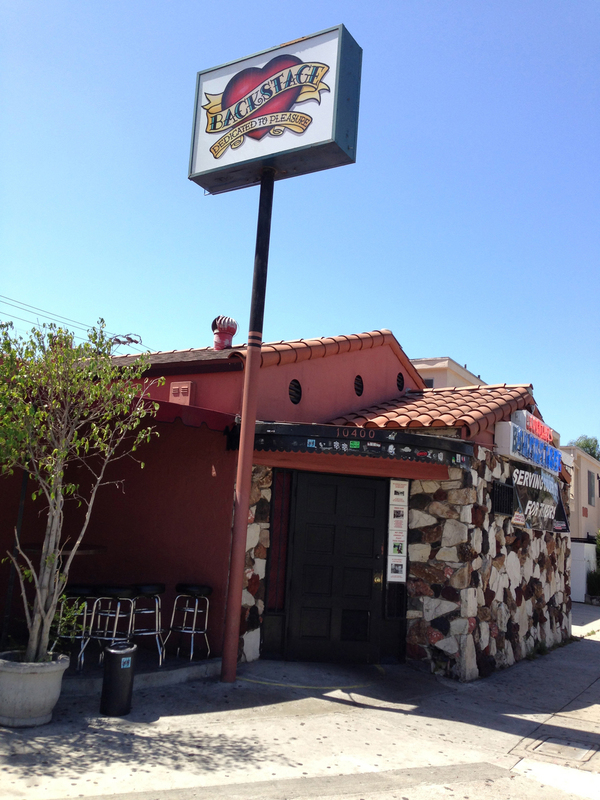 Located on Washington Blvd just east of the 405 and Sepulveda, this old school bar is full of character and charm. Nothing fancy just tremendous atmosphere and incredibly friendly owners and staff. The owner has been incredibly generous to our elementary school when we have our grown up events - he donates a lot towards Culver City events. He is an institution. If you want to watch a sporting event, this is the place to hang out. They also have a patio in the front. The traditional bar menu of burgers, sandwiches, nachos and more is comfort food in a great setting. If you are irish, this is the place to be. "You will always see someone you know and end up having a classic night!" Posted on June 18, 2013 by Douglas Hunter.